Complete soitude is something I crave from time to time. And if I had an address and an invite to this one room abode, I'd be in my car and on my way in ten minutes. 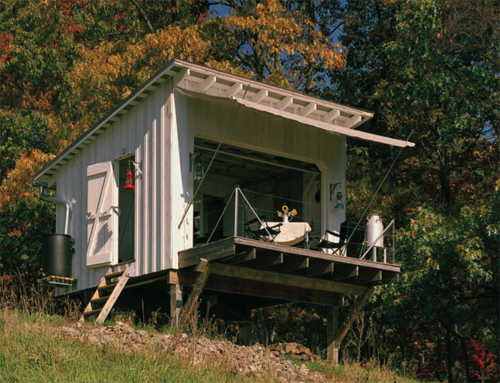 This is The Shack, located on South Fork Mountain in West Virginia. Created by Broadhurst Architects of Washington D.C., it's beautifully designed, well thought out and has a certain manly, rugged appeal, don't you think?